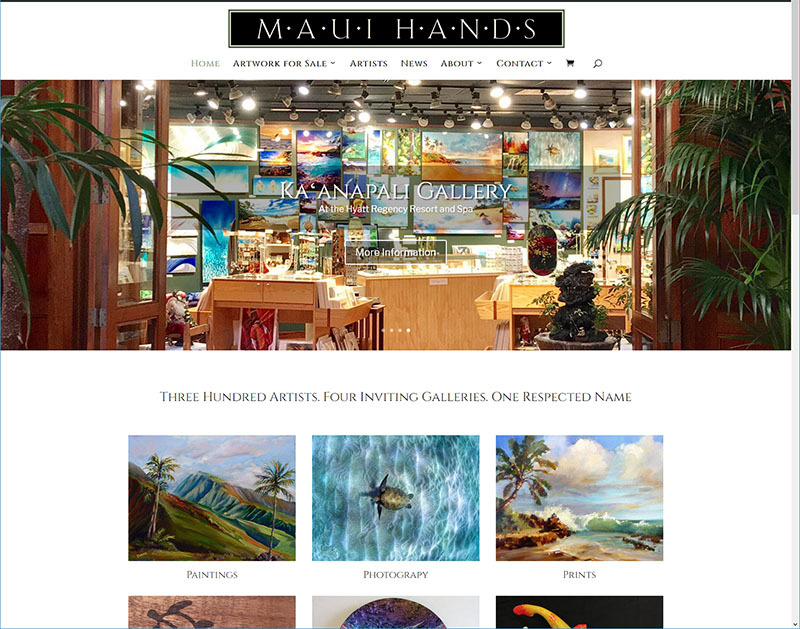 Maui Hands is one of the finest galleries on Maui. Representing over 300 artists from the Hawaiian Islands, it is filled with beautiful art. This site made extensive use of Woocommerce and required significant customization.